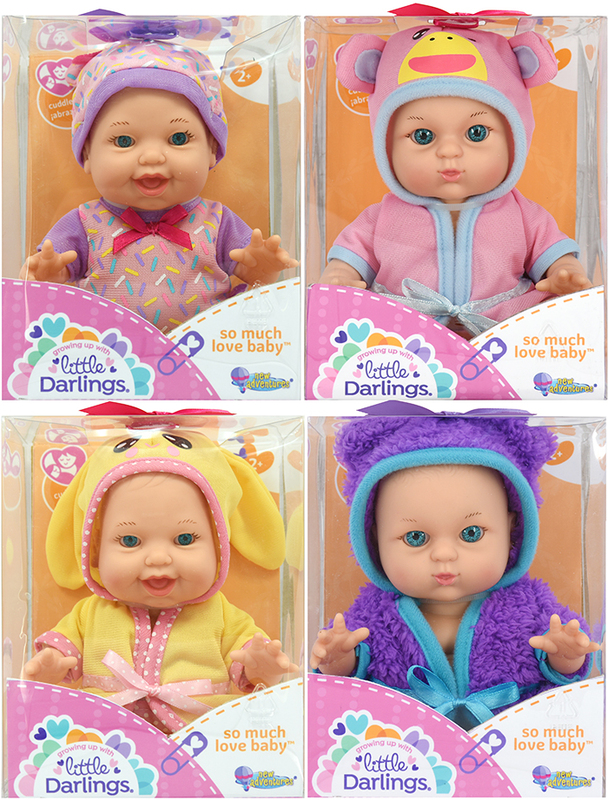 8” Baby dolls dressed fun, colorful outfits; Hooded robes to cute tops with matching hats. Collect all 4 styles! © New Adventures LLC. All rights reserved.